As the worst month of the year finally comes to an end, the Getintothis team bring to you a hand-picked eclectic mix of brand new tracks that have been captivating their lugholes. 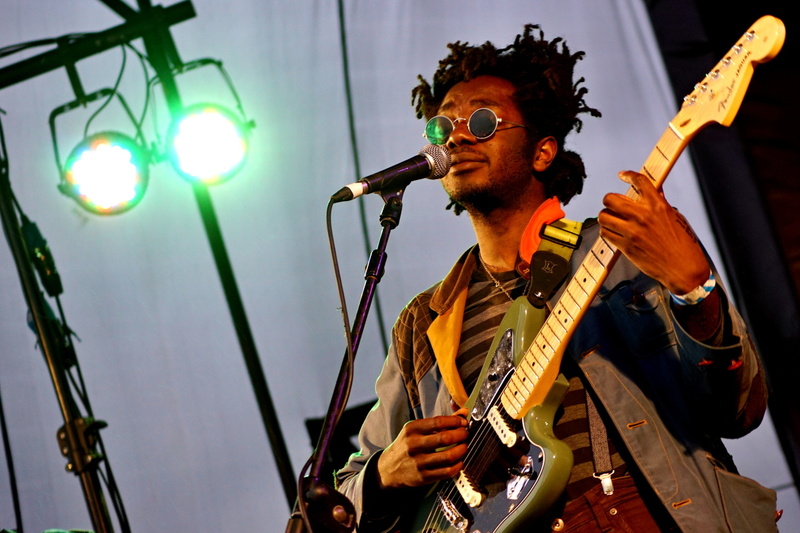 Musician or not, everyone has their own story about how and why they got into music. Sometimes it will begin with “I’ve always been into music” or “I fell in love with John Lennon at a young age”. Other times, it takes a little longer to realise how important it is, at which point you retrospectively realise what an impact it’s had. Mine’s one of the latter, only recently realising that it’s been the running theme throughout my 24 years. When I was younger, I would be taken to gigs of bands my dad was drummer for, soak up the classic dad rock and LIVE for the moment when they would launch in to Rick’s Springfield‘s Jessie’s Girl. But growing up in a pop culture isn’t easy to escape from, and soon I was making up dance routines to Steps and practicing my feminism with Spice Girls. As I got a bit older I started to branch out and listen to music that hadn’t been spoon-fed through mainstream media, soon falling in love with Bruce Springsteen, The Kinks, Oasis and of course The Beatles among many more. And today, instead of focusing on the oldies (but goodies), I turn my head eagerly towards the new musicians, while also pretending that the ‘McFly years’ didn’t happen (we’ll put that down to teenage hormones). 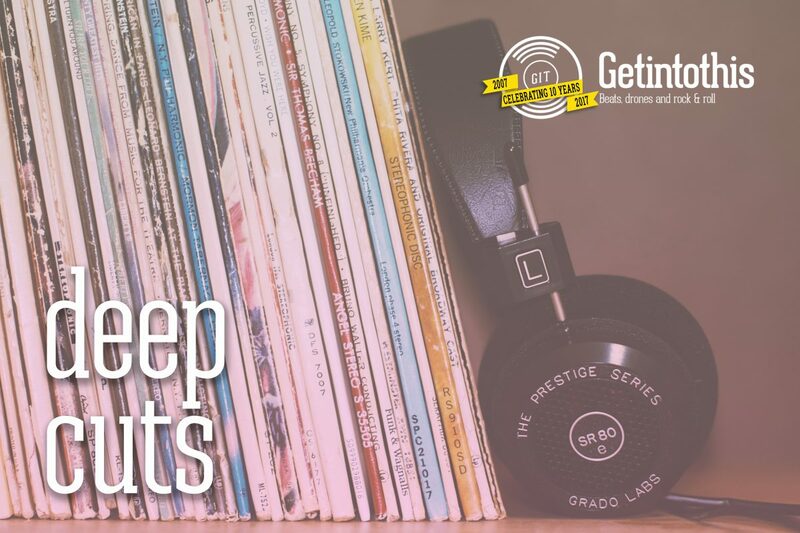 Many people don’t actively seek out new music, but let it find them via the media – by which point you can be relatively certain that a hell of a lot of work has gone into them getting there, with probably only a very small amount of support available in the beginning and potentially a fair few good connections to give them a helping hand. But it’s the first couple of years, or even months, when a new band really needs you to not just hear them but really, actively listen.. This is why, when I moved to Liverpool two years ago, I fell in love with its music scene and everything it stood for. The reality of being picked up by a talent scout or getting played on Radio 1 for the masses to hear you are pretty small. However, if you’re surrounded by people who love everything about music, all look out for one another and make an effort to support the latest new music, it’s seems like none of that matters too much. Everyone knows everyone, is up for a gig and genuinely cares about what music you’re putting out there. And isn’t that more valuable than simply passing over the heads of an office full of uninterested people through a radio? That’s why I’m really chuffed to be Getintothis‘ New Music Editor. It’s going to be my mission to seek out the folk putting their heart and soul into song and hear what everyone else at Getintothis HQ has been listening to, with the latest new tracks coming to you via Deep Cuts. And well as this column being a space to hear about the latest Merseyside musicians’ tracks, it’s also one where you can hear bits and pieces from further afield, so you can rest easy that you’re getting your monthly intake of varied music from everywhere and anywhere. Grab your brew and your Digestives and get ready to soak up the best January 2018 has to offer. This one is somewhat of an exclusive, and one I’m very excited about. Samurai Kip have been bouncing about on the peripherals of my consciousness for a while, but Mr Void is that track that made me sit up, take note and vow to see them live as soon as possible. It’s a brilliant mixture of storytelling, psychedelia and husky vocals that you’ll easily swoon over. There’s so many layers to this song that it’s easy to get lost in it, whether you’re transfixed on the twisting bass lines, captivated by the guitar solo or mesmerised by the great production of it all. To end on some upbeat clapping comes into play, which I can only hope will be recreated with an audience when it’s time to catch them at Independent Venue Week. 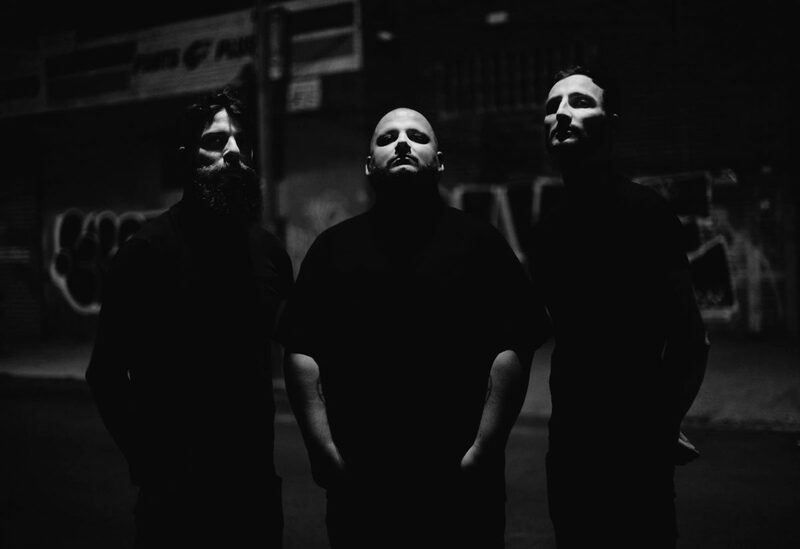 Nightmarer, masters of discordance, are a German/American 3-piece formed in 2016. Though they have only a two track EP to their name thus far, that is about to change very soon with the release of their debut full-length album Cacophony of Terror, via Season of Mist in March 2018. The band, following in the footsteps of Deathspell Omega and Dodecahedron, have forged their own monstrous take on dissonant death metal, and nowhere is this more apparent than on their latest single Skinner. The track lurches along like a monstrous heartbeat, with detuned 7-string guitars and guttural vocals aplenty, along with the distinctive yet unquantifiable sense of unease and foreboding of their own creation. We look forward to seeing how deeply into the pits of hell Nightmarer are going to drag us upon the release of Cacophony of Terror. Watch this space. 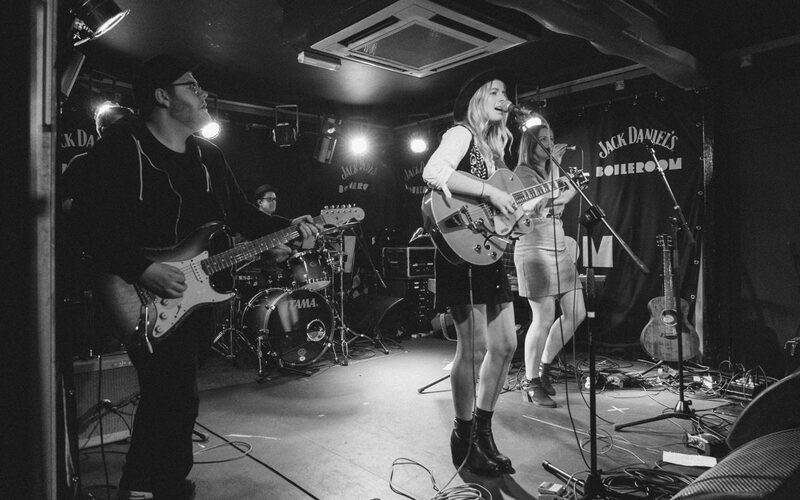 Dorset-hailing Fenne Lily picked up a guitar aged 15 and wrote Top To Toe aged 16. A song which has since been streamed on Spotify over 19 million times. As well as gaining a rapidly growing following from her records, she is also making a storm at her live shows, with an international tour on the go already. And with a debut album due out in April it’s unsurprising that we’re getting ready for her to blow up, big style. Albeit being Fenne Lily’s most recent track, On Hold has already managed to rack up almost 60,000 listens on Spotify in the few short days that it’s been available to the public – unsurprising really, as it’s the type of song that’ll have you coming back for more, be that while relaxing in the bath after a long week at work or making that tedious drive home. From a personal point of view, this song has been one of those that has grown on me the more I’ve heard it, with its soft, sweeping melody and mellow lyrics making the transition from a fairly quiet January to what I expect to be a few busy months ahead a lot easier. The beginning of the track pays testament to the rest of the song, with its gentle, calming rhythm, but what’s most captivating is the fragile vocals she lays on top – they’re the real show-stoppers, making it impossible for that trigger-happy finger of yours to skip to your next favourite song (I know I’m a serial offender on this front). Featuring lyrics such as ‘everything told, scared to be alone’ and ‘I was on hold, high becoming low’, it’s impossible not to relate to this song on some deep level. Fenne Lily is definitely one to watch this year. 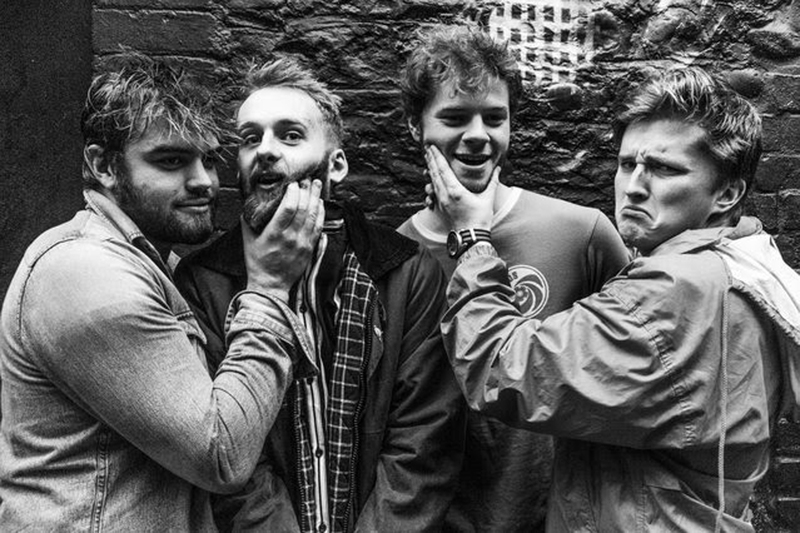 Scruffy Bear are a Manchester-based four piece with an emotional blues/rock sound. Formed in 2016, the band’s aim has become to give blues rock a new lease of life. While it’s always risky business to venture into a genre that’s not as well represented as we might like, it’s also daring – proving that this four piece have definitely got the guts to stick it out long term. Their latest release, Water is an incredible mix of powerful, intense vocals matched with a warping lead guitar and heavy drums. When it all becomes just a bit too much, the vocals ebb out again, keeping the listener on their toes. 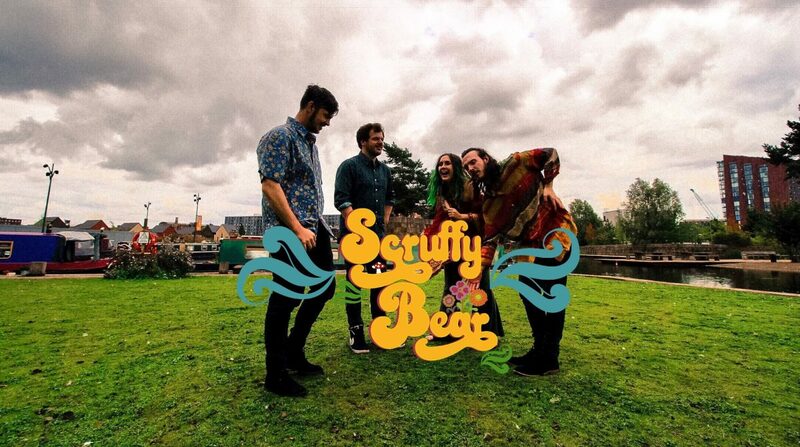 Scruffy Bear are certainly a creating a different sound, one that’s both reminiscent of older music (think 70s rock) with a brand new twist and a vocal that breathes life into it. 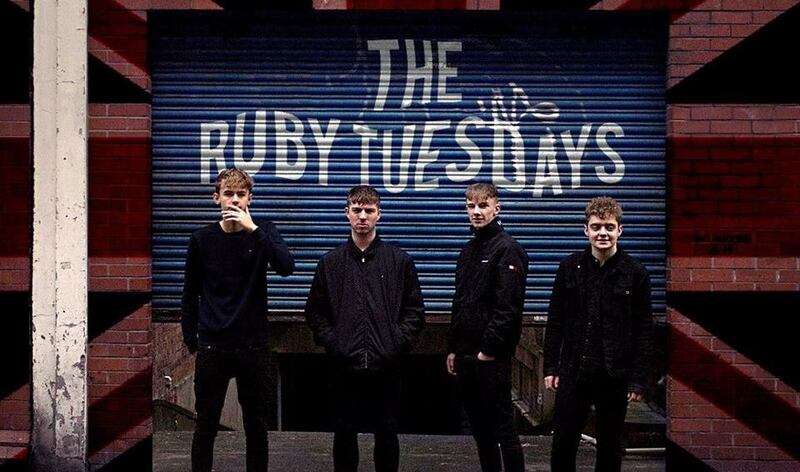 The Ruby Tuesdays have just released their new single Militant Pop, so this is one that’s fresh off the press. 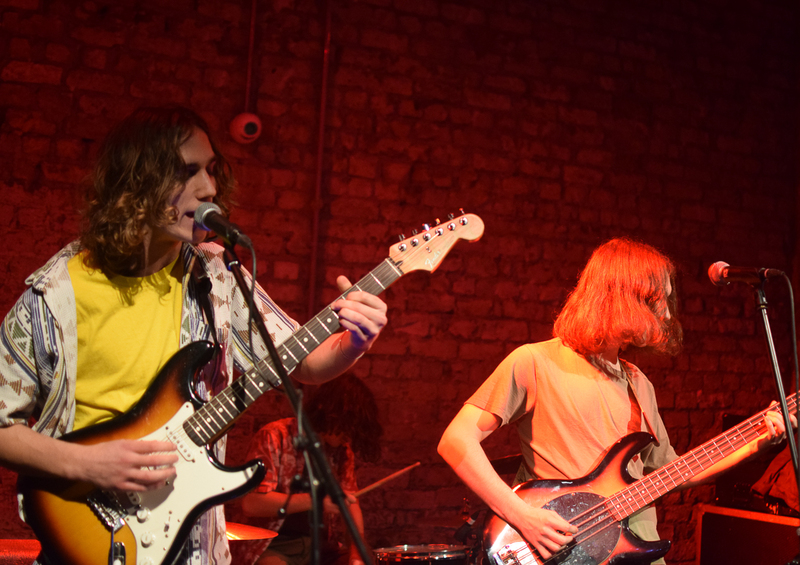 The Blackburn band released their debut EP in April last year and are sticking with that same vibe of youth that has seen them become a success thus far. While The People – EP can be praised for its’ variety, first single Messiah Complex was the highlight and, thankfully, they’re heading towards a similarly sharp runaway track this time around. With mischievous character oozing from it, it Militant Pop is their best effort yet. 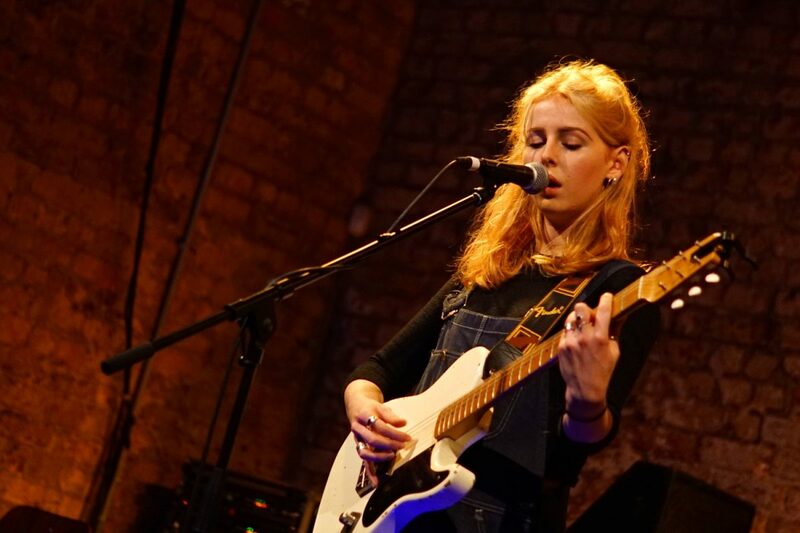 Sub Blue is the Liverpool-based singer songwriter that you’ll wish you’d have heard sooner. 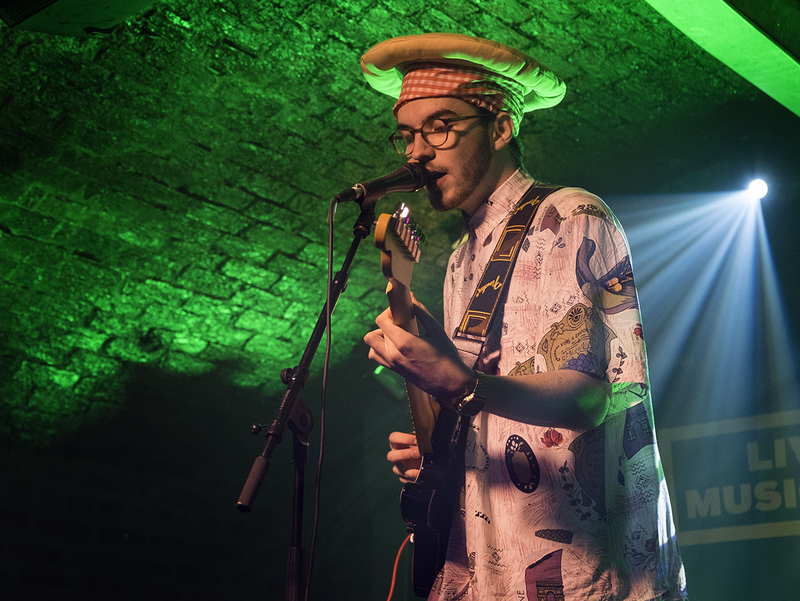 He’s appeared on the bill for the Liverpool International Music Festival and released his debut EP Suburban View in April last year – all before his 21st Birthday. Now with his latest release, Range Rover, he’s back singing about those suburban blues. Listening to this slab of gentle experimental electronic R & B on a Sunday evening at the tail end of January you find yourself wondering why on earth this isn’t playing right now across the world. It’s stripped down to be sure, almost minimalist in conception and execution; the more you listen to it you realise the less there is to it. This is a good thing. Less is more. This is Zen music. Lasting a shade longer than three minutes-the perfect length for a perfect pop song- there’s a voice in there so smooth and silky yet demanding to be heard, a melody that’ll stick in your head for weeks and more hooks than you’d think possible to slot into 390 seconds. A song about a car made in Speke? Range Rover is much more than that. Merseyside’s Hi, Charity released their debut EP on January 3rd, with three tracks that banished the wintry blues and got me all excited for new, local music in 2018. Band member and multi-instrumentalist, Rob Langford, has with this offering delivered some melodic-driven power-pop, and the newest single from the EP, Down, is a synth-infused head-bopper of a tune that harks of 80s notes, plucky guitar riffs and sentimental verse. Liverpool’s answer to The 1975 then? Well, with a distinct similarity to Girls and Way Out, then yes, possibly, but with dreamy vocals, a tight instrumental ability and some decent song-writing capabilities, Down is familiar, but ever so catchy. The guitar hook reels you in from the intro and the chorus, ‘Follow me down when you get sick of this town, babe,’ will probably stay etched onto your brain for days. It’s obvious that the collective hearts of South West Wales four piece Los Blancos, signed to Libertino Records last year, belongs to 1990s guitar from the other side of the Atlantic, Pavement and Lemonheads showing a healthy and robust influence. 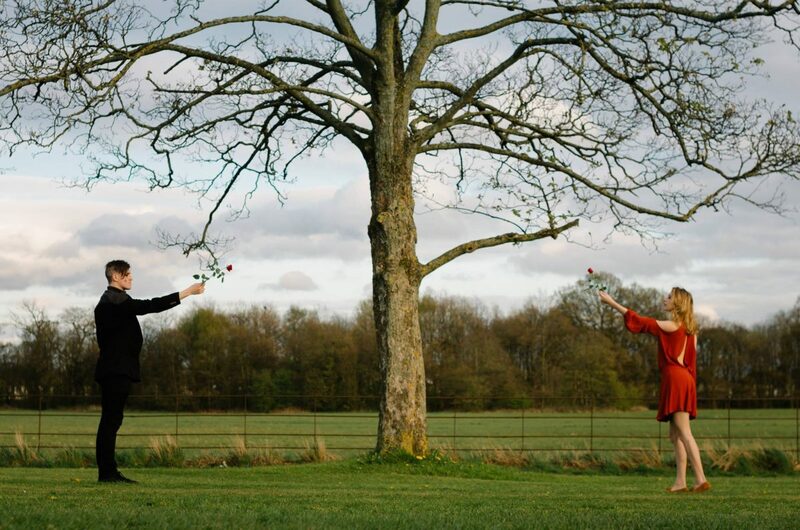 The new AA single, produced by Kris Jenkins aka Sir Doufus Styles (Super Furry Animals, Flaming Lips, Gruff Rhys, Cate Le Bon, H. Hawkline, Gulp) in his Signal Box studios in Cardiff, is a follow up to last year’s debut Mae’n Anodd Deffro Un. Datgysylltu, one half of the single, has the moody warmth of a uneasy dark dream and, with such a slow burn of a build, there’s a The Velvet Underground love here as well, showing a strong and alluring grip. But it’s on the flip side Chwarter i Dri, inspired by Charles Bukowski poem The Escape, Los Blancos let their melodic leanings off the leash proper, and it’s all the better for it. The earworm chorus, chiming guitar and sheer colour make substantial magic. Pizza Girl isn’t a girl, and the song Favourite Song isn’t about pizza. Instead, what Favourite Song is, is a debut offering from one-man band and production unit, Liam Brown, who fuses 80s synth and mellow electronica to produce something that, despite being minimally lo-fi, is actually hauntingly catchy. Forged together from a bedroom somewhere in Liverpool, Brown’s vocals and production are reminiscent of Pet Shop Boys and Hot Chip but with less gusto, and more of a dreamy, mesmeric quality. With a repetitive bridge, simple, unchallenging looped chorus: And when I think about the life with you it makes me go do do do do do do’ Favourite Song is one of those tracks that you’d quite happily like to forget about, but probably won’t be able to. It’s been a long travelled road for Lookman Adekunle Salami. 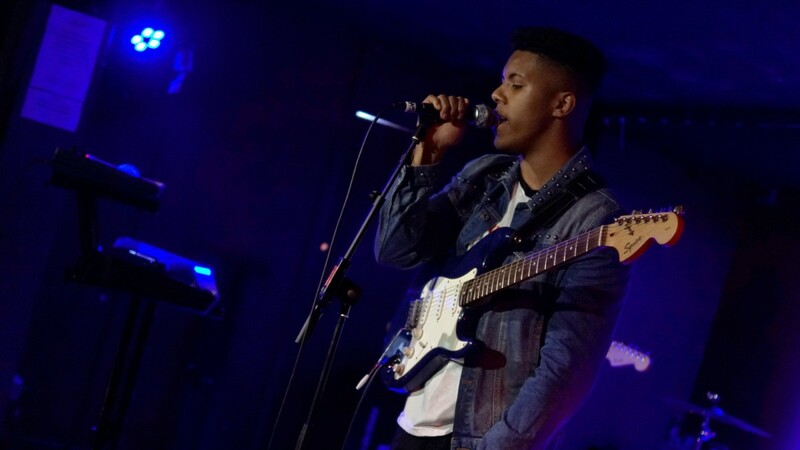 With several EPs, one album and innumerable ‘one to watch’ tips under his belt since the Londoner started releasing music and notably bagged a tour support with Lianne La Havas in 2012. Fast forward to 2017, and that long overdue place in the limelight seems set with Generation L(ost); a bracing skip-pop rock & roll rattler which is the kind of radio ear-worm that leaves you itching for more. Cutely balancing a zesty iridescent spark with the kind of self-doubt which makes you want to give him a warm embrace, Generation L(ost) hurtles out of the blocks only to speed up and career into a 120mph maelstrom of twanging guitars, glockenspiels and bounding percussion. Pausing for breath, he tells us: “I’m on an island, on a desert, I call my own,” and you can genuinely feel his anguish yet such is the strength of resolve and solid gold pop, we’re pretty damn sure this time round you’ll be hearing a lot more from Mr Lookman Adekunle Salami. Martha Paton might hail from that London, but with the use of slide guitar and violin and country inflections, Sleeping in Suburbia has that woozy, summer feeling as if she’s playing it just for you and you alone in a dusty and sleepy Southern US town on a quiet Saturday afternoon. It’s got Americana tones for sure and tinges of folk in the mix but there’s more to it than that. Martha Paton has a great voice-it’s got just that right level of grit to give that little bit of edginess to make it special. She’s got a few albums under her belt already, having released stuff since 2013 and having gigged extensively, but this brand-new track will blow your rhinestone socks off. Or your ordinary socks from Asda. This is what’s so good about our Deep Cuts column. Discovering new music-because for this writer, Martha Paton was an unknown thirty minutes ago. Now, after listening to Sleeping in Suburbia over and over again (including a five minute break when writing had to stop because this track utterly captivated me and I just had to stop and listen), Martha Paton is someone I’m definitely going to check out. And you should too. You won’t be disappointed. New Zealand-based duo Bright Music are a brand new coupling, having formed in just December last year. 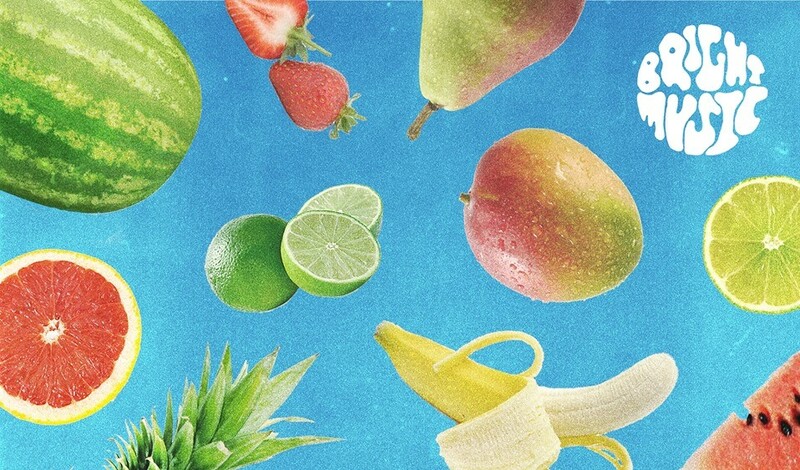 Featuring the same minds behind New Zealand two-piece Physical, this music is somewhat more lighthearted and definitely focused on bringing you that summer feeling. In fact, their Facebook bio even describes their upcoming album as “incorporating the sounds they had captured of the ocean, wildlife, buskers, street markets, and even children’s birthday parties”. For their latest single Miracles 2, this is certainly the case. On first listen it’s a bizarre amalgamation of what sounds like seagulls (or possibly a squeaky door? ), ducks and other undecipherable noises all layered on top of a catchy beat. To top it off are classic summer-sounding vocals, getting you ready for festival season 2018.